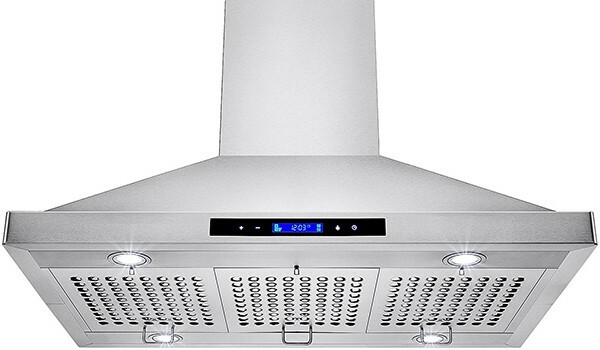 The KOBE IN2636SQB-650-5 Deluxe range Hood Insert is an absolute work of beauty. 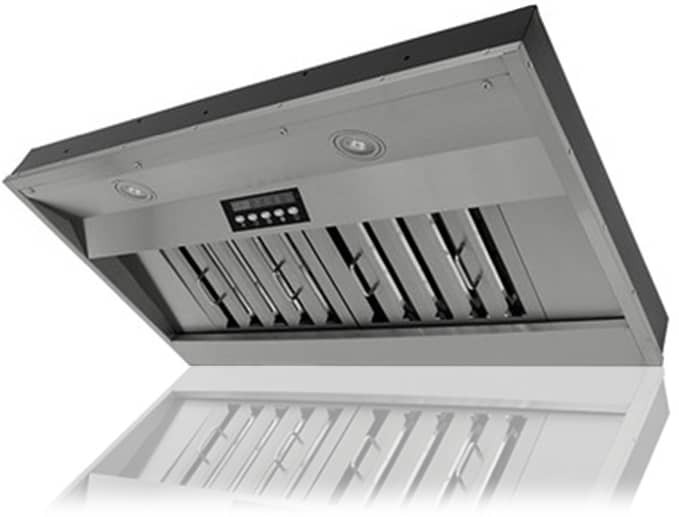 Its 18-Gauge commercial grade stainless steel, combined with its well designed baffle filters, makes this 36 range hood insert have a very solid, yet elegantly refined feel. 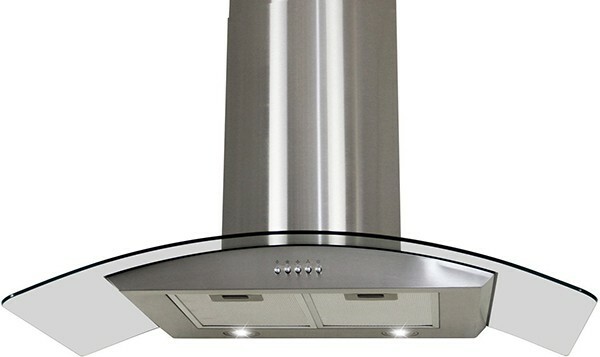 Although the largest part of this range hood will be hidden, as its integrated into the cabinet above your stove, people’s eyes will automatically be drawn to this amazing piece of machinery. It’s not just the exterior of the range hood we’ve been impressed by, under the hood we find an absolute monster: a powerful 700 CFM squirrel cage blower. 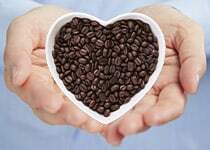 That’s more than enough for any kitchen to be cleaned of its hazardous air particles. The amazing part is that given the amount of power the KOBE IN2636SQB-650-5 Deluxe holds, it’s relatively quiet. At its maximum speed of 700 CFM, its relatively quiet for its amount of CFM (6.0 sones at 700 CFM). 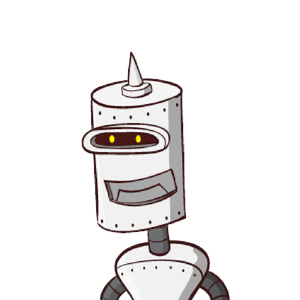 Where it really shines is when its on the lowest setting (300 CFM), which is when the QuietMode™ feature kicks in, which carries the motto “So Quiet… You Won’t Believe It’s On!”. This extra silent setting (1.0 sones at 300 CFM) prevents you being ear-blasted by having the equivalent of a jet take off next to you while preparing your meals. The KOBE IN2636SQB-650-5 Deluxe 36 range Hood Insert is also chock-full of extra’s, controlled by a modern LED display, as well as a remote control. For example, the delayed shut-off function will let the range hood run for a set amount of time after you’re done cooking, so as to remove any lingering odors. Or how about a filter indicator, which notifies and reminds you when it’s time to clean your baffle filters. Another well thought-out extra is the ECO mode, which will turn on the range hood every hour for about 10 minutes, so as to remove excess moisture, microscopic particles and odors from your kitchen . 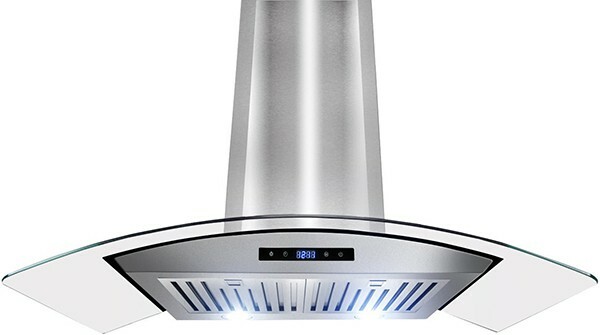 This leaves you with a cleaner and healthier air in your kitchen, without having to manually turn on/off your range hood every hour. As you can imagine, this kind of quality won’t come cheaply. 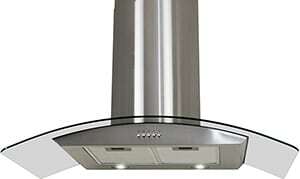 We must admit, the KOBE IN2636SQB-650-5 Deluxe 36 range Hood Insert is relatively pricey. 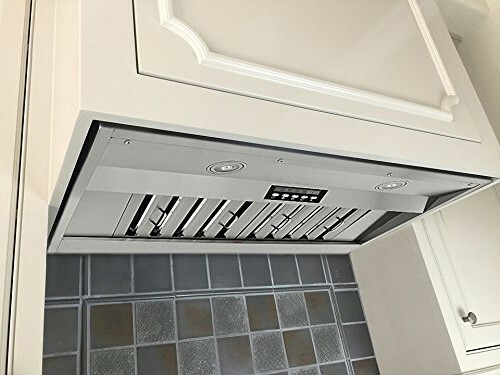 However, if you want to buy a piece of carefully engineered machinery and are willing to pay for it, this 36 range hood insert is an amazing choice.